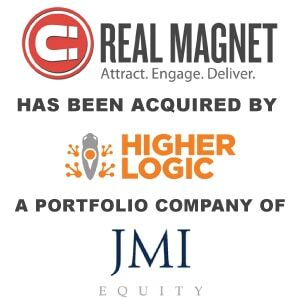 Higher Logic Acquires Marketing Automation Platforms Informz and Real Magnet - Berkery, Noyes & Co., LLC. Higher Logic, an industry leader in cloud-based community platforms, has acquired Informz, Inc. and Real Magnet, Inc., two leading marketing automation software companies. This acquisition accelerates Higher Logic’s plans to use broader customer and member interactions as the cornerstone of a lifecycle engagement platform. Integrating the strength of these two marketing automation solutions with Higher Logic’s leading engagement and community platform will result in more effective, targeted marketing and better customer interactions. From the initial web visit to renewal and ongoing engagement, the Higher Logic platform will track and manage interactions along each stage of the digital customer experience. Higher Logic’s recent acquisitions, which include Socious and Kavi Workspace in the first quarter of 2017, along with organic growth, has resulted in a 3.5X increase in annual recurring revenue, customers, and employees. The company increased sales during the first half of 2017 by 91 percent over the first half of 2016. Combined, the Higher Logic, Informz and Real Magnet platforms process billions of customer interactions every month. By capturing a broader set of engagement data points, Higher Logic will build richer member and customer personas that enable deep segmentation and personalization to help drive measurable outcomes. “Real Magnet’s world-class marketing automation combined with Higher Logic’s renowned community platform gives data-driven marketers powerful new capabilities for increasing engagement and driving revenue. The big winners here are our customers,” says Tom Pines, CEO of Real Magnet. With one of the most comprehensive teams of member and customer engagement experts, Higher Logic is positioned to further enhance the customer experience through a broader set of products and services. Now boasting over 340 employees and 2,600 customers, the company’s expanded offices include Mesa, AZ; Portland, OR; Saratoga Springs, NY; and its headquarters in Arlington, VA.
Berkery Noyes served as the exclusive financial advisor to Real Magnet and Madison Park Group served as the exclusive financial advisor to Informz on these transactions. Founded in 1980, Berkery Noyes is a leading independent investment bank serving the information, software, marketing, and technology industries. The firm has initiated, managed, and closed more than 500 M&A transactions for privately held and publicly traded companies. To learn more, visit http://www.berkerynoyes.com. 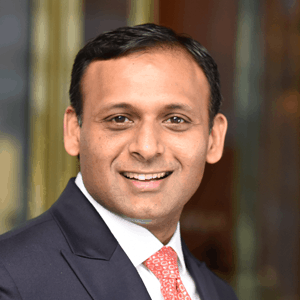 Madison Park Group is an investment banking firm that blends 25+ years of investment banking and operating experience in enterprise software & SaaS, digital media and tech-enabled services. MPG has closed 150+ M&A and fundraising transactions for a range of VC/PE-backed and founder-owned technology companies. To learn more, visit http://www.madisonparkgrp.com.